When a new chart needs to be created it always starts up with the default and hast to tune to the personal or company format needs. This takes always a lot of time, thus a loss on productivity. Add "Chart-Styles" to Calc, which allow creating and saving formats for several chart styles. In one chart-style all possible features of a chart should be customizable. I agree, this would be a very good idea. More standard chart types would also be very good like bar of pie chart, etc. @A - Thanks for looking into this matter. Feel free to add also more standard charts. This makes customization already a bit easier. However, with the styles, LibO would beat MSO with a great functionality. I just keep fingers crossed for dev manpower. Bug 62540 describes something very similar. IMHO it is not exactly an exact duplicate, but it might make sense to join the two bug entries. I put Francisco of that bug entry to this one here in CC. > duplicate, but it might make sense to join the two bug entries. > I put Francisco of that bug entry to this one here in CC. Hi Gerry, thanks for let me join this talk. Well, in some way, it _is_ a duplicate of what I wanted to report in first place: it is a really slow task to edit format charts in Calc. What could we do? Then I realized that the problem was a pretty bigger, since not even textboxes drawn inside charts are editable through styles. Then I stated that charts need some improvement in general, though the implementation of styles is a real step fordward in this goal. @Francisco - Thanks for looking into this matter and for your comments. Now I - and I assume that there are many others waiting for this enhancement - can only wait to see if there is a great volunteer who will tackle the topic. This feature would - to the best of my knowledge - put Impress on the same and maybe even a bit better level than PowerPoint. I remember that there are User styles but this was not very satisfactory; at least for me. As there are also new chart styles considered I would like to propose the style "Stairs to Total". A style I am using very often instead of stacked column style to emphasis the gain for each step separately. This is also very often to be seen in chart created by consulting companies. Current creation requires additional data preparation and a lot of formating work; thus very time consuming. I feel that this is a great feature above MS Excel. In Excel 2003 this style was not available; I missed it a lot. Could a newer Excel version please be checked by someone who also has access to MS Excel >=2007? I add my support for this request. I blog and do technical work using a lot of charts. For blogging, I create the charts and then embed them in my website as a fixed number of pixels. On a high-resolution screen, the image is often barely readable using the defaults for titles, axes-labels, legends and data-labels, so I have to adjust fonts repeatedly. It takes more time to manually format the chart than it does to gather the data for the spreadsheet and upload the image to the server. It is a major hit and I have to remember the font-sizes for several categories of items and font-faces, or articles with multiple charts look amateurish. It could be just one click to avoid a lot of work and errors. This is also an accessibility issue in that old eyes like mine need the larger fonts. It's not only about convenience/productivity. The whole idea of using XML in the file-format is to be able to separate style from content. Not using that philosophy for charts and hard-coding these in the software is something that should be fixed. Now that SVG is well supported, this would make LibreOffice nearly perfect for what I do. If we cannot do this with styling, please let us save and insert from templates. Saving the chart styling in a whole-document template doesn't work because the data-ranges then have to be edited and there might be a dozen of them. Could it be a good idea if anybody creates an entry in "Vote vor enhancement" page? If I understand clearly, this report is the same / duplicate to Bug 62540 (which is reported earlier). Shouldn't we merge these to only 1 report? Feel free to add your vote. > and hast to tune to the personal or company format needs. You can copyk&paste an existing one often and then drag a new data-range to it. Nevertheless: a very useful enhancement request! > > and hast to tune to the personal or company format needs. > Nevertheless: a very useful enhancement request! That's not so easy: you must have already in the same spreadsheet a chart formatted in the way you want. You cannot copy a formatted chart from another file (though maybe you can insert that one sheet). As I needed create a larger number of charts in a company format, I looked here to see how things are developing. Thanks to all who worked and work on this enhancement. I can offer testing if needed. However, also reading the explanation "Please add a short comment (1 line) starting with # at the end of the list you want to support and sign with -- ~~~~ . Good arguments have more influence than numerous votes." I cannot figure what I need to do. Can I please have some voting-for-dummies advice? > figure what I need to do. > Can I please have some voting-for-dummies advice? # Don't be selfish, remember, you may need a feature, while other people would prefer another. I hope we get this feature soon. I willl keep fingers crossed that budget will be provided. My request was referenced to be fitting to the discussion here. I also very much like the request for pre-defined chart styles. I would ask you to consider a pre-defined pattern style that can be applied to an entire chart so that colourblind people have it easier to read the chart. We have access to properties from the sidebar. So option a) could be to place a control for style selection on top likewise it's done for text styles. Drawback is that many properties are shown dependent on context, e.g. Line Style of grid lines, Line Style of bars and Line Style of the background. So what we can do here, is to clean up and show all together and rename and combine it properly. Option b) is to introduce a second deck for chart styles similar to the styles in Writer. Wouldn't be as prominent as it should be though the adoption to chart styles in Writer might be easier. Issue is that still not all chart properties are active in edit mode: for example the chart background color can be set to none and the overall chart property for area to something else (becomes active when not in edit mode). For simplicity I would suggest to go with option b) and have a new sidebar deck for chart styles including Fill Format Mode and New Style as known from Writer ignoring the non-edit-mode properties. 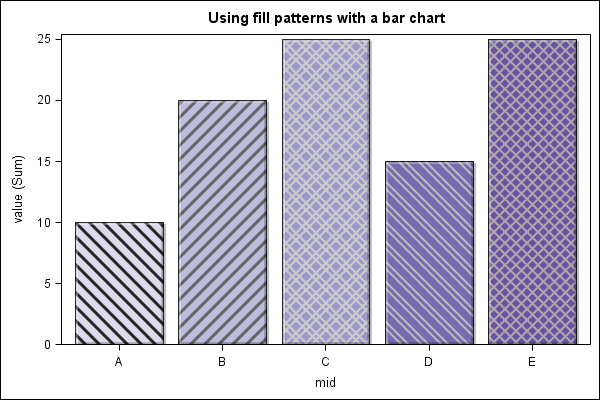 To apply the style on creation we could introduce a fifth step in the chart wizard where the user can select the style. Supposed workflow for bug 90490 is to create a new style based on the current selection and modify it. Since we do not have a all-in-one edit dialog yet as requested in bug 90687 this wont work (for now). It's great to see some movement on the development of chart styles. Thanks in advance. Of course, one probably cannot implement all these elements at the beginning, but please keep in mind that chart styles can comprise a number of different elements. You mean a seventh option top left in the tool bar of Styles and Formatting? But that does not prevent styles to be listed and changed with a properties dialog? We have to follow the ODF specs that defines what styles are. There is a volunteer interested in doing the work - that's why we have progress here - and he wanted to implement styles and not just a color swatch, for example. > You mean a seventh option top left in the tool bar of Styles and Formatting? The styles "switcher" is the topmost control at the properties deck in Writer, affecting all the properties below. Don't get the "seventh" option thing. Don't talk about a dialog at this moment. Imagine a style "Yellow" that changes the background color of the chart but you have the series selected. This unclear situation bothers me, and made me prefer the extra deck. The panel Styles and Formatting now has six buttons top left. But I see you mean the panel Properties. Sorry. Why that one, and not Styles and Formatting? The latter also exists in Calc and Impress/Draw. In the properties panel, the properties shown are the ones of the place where the cursor is. That can the the styles properties, but may also be direct formatting. So the properties controls do not directly change a style. > changes the background color of the chart but you have the series selected. > This unclear situation bothers me, and made me prefer the extra deck. I expect a chart style to be a set of properties - as written in comment #28. So style "yellow" should have more impact than only the background. Looks nice. I would like just to suggest that Data Range and Data series could be merged in the same tab. I want to work on this feature as GSOC project and for the same I have been talking to Markus Mohrhard, he has given me pointers to the logical handling of the styles in chart2 module. For the GUI part after reading the comments I see that the sidebar implementation is preferred of chart styles. Can I get some documentation regarding how sidebar in libreoffice works. I see sidebar code in sfx2 and svx, though a bit more detail would help me with my proposal in understanding the capabilities of sidebar for this task. That's great to hear. Sorry that I cannot help with the code pointer (adding the all-knowing Samuel for that) for sidebar but please consider this too , although not _style_ related in narrow sense. > , although not _style_ related in narrow sense. I have been discussing with Markus about this, and we have come to a conclusion that the logical level handling of the chart style is most important currently, and I myself have realized the scope of that part of the project added with  including import/export of styles from files. Thus, I will probably be implementing a very limited ui in sidebar deck offering only a selection list for styles to be chosen from. Excellent, happy to review all aspects from UX POV. The actual UI is a "piece of cake", much more important is to have a clean implementation and scope. Eg. styles should be created, modified, deleted but also saved, loaded and ideally shared per extension. And before this step you have to solve all the internal handling, which might be good enough for a nice summer.